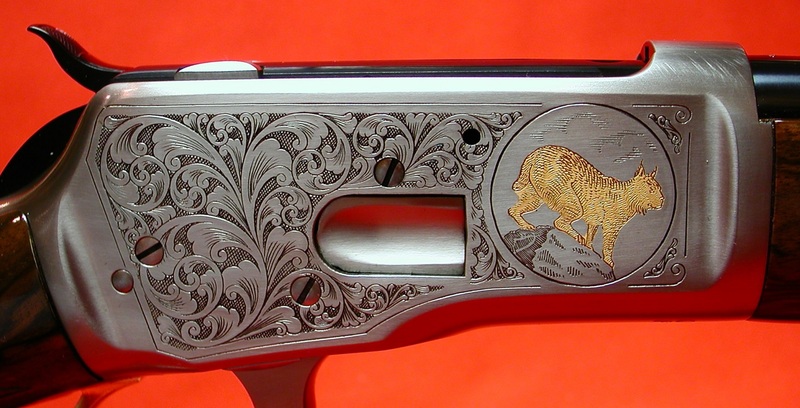 Engraved grayed steel receiver with gold coyote and bobcat scenes, checkered walnut stocks, pistol grip, 24 inch barrel with buckhorn rear sight and hooded front ramp sight. Out of production. New unfired in original factory carton with owners manual. Walnut stocks, pistol grip, 24 inch barrel with buckhorn rear sight and hooded front ramp sight. Out of production. New unfired in original factory carton with owners manual. 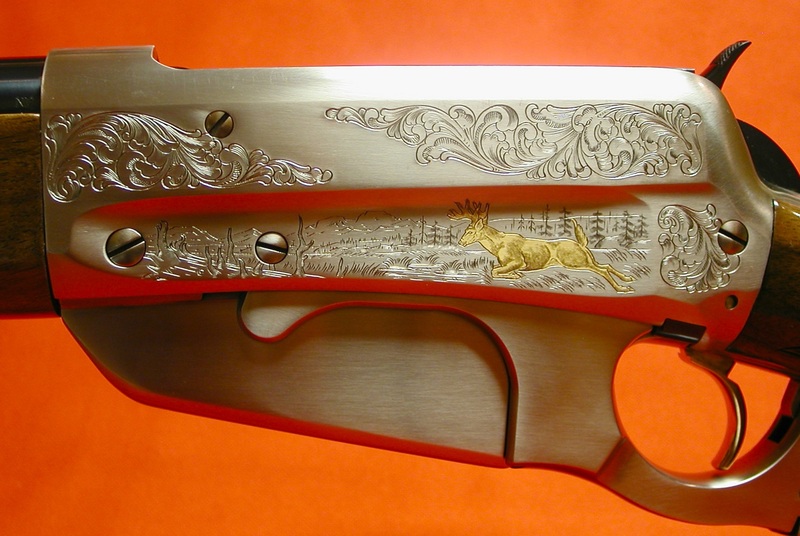 Engraved receiver with gold bird and dog scenes, checkered walnut stocks, pistol grip with steel grip cap, 2 3/4 inch chamber, 26 inch vent rib barrel, modified choke. Out of production. New unfired in original factory carton with owners manual. Checkered walnut stocks, pistol grip with steel grip cap, 2 3/4 inch chamber, 26 inch vent rib barrel, modified choke. Out of production. New unfired in original factory carton with owners manual. 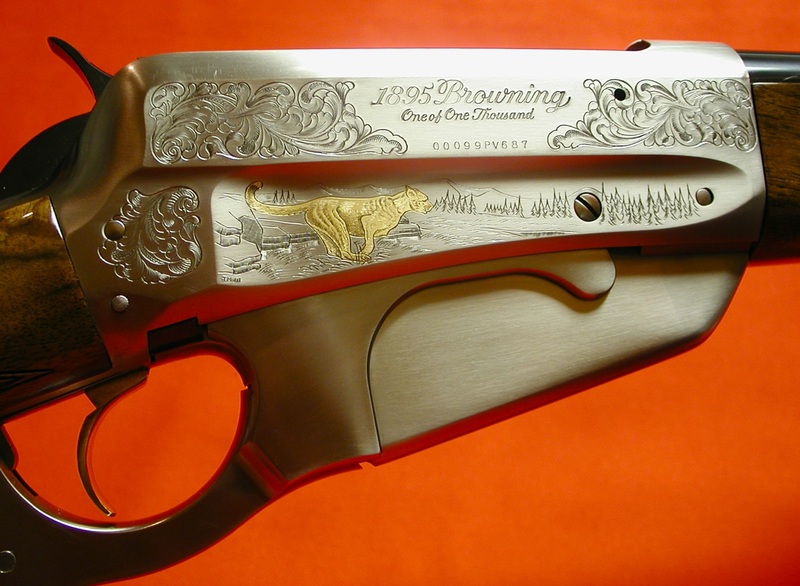 22 inch barrel, checkered walnut stocks, adjustable rear and post bead front sights. Out of production. New unfired in original factory carton with owners manual. 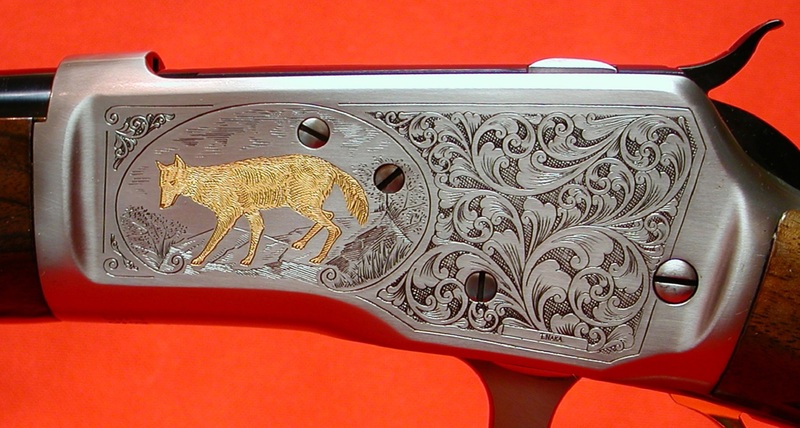 Engraved receiver with gold bird and dog scenes, checkered walnut stocks (with diamond pattern on forearm), pistol grip with steel grip cap, 3 inch chamber, 26 inch vent rib barrel, full choke. Out of production. New unfired in original factory carton with owners manual. Checkered walnut stocks, pistol grip with steel grip cap, 3 inch chamber, 26 inch vent rib barrel, full choke. Out of production. New unfired in original factory carton with owners manual. 26 inch with 2 3/4 inch chamber, modified choke, vent ribbed barrel, checkered nice grain walnut pistol grip stock with steel grip cap. A few very light press marks on stock. 99 1/2% factory blue, appears to be unfired with original factory carton and owners manual.